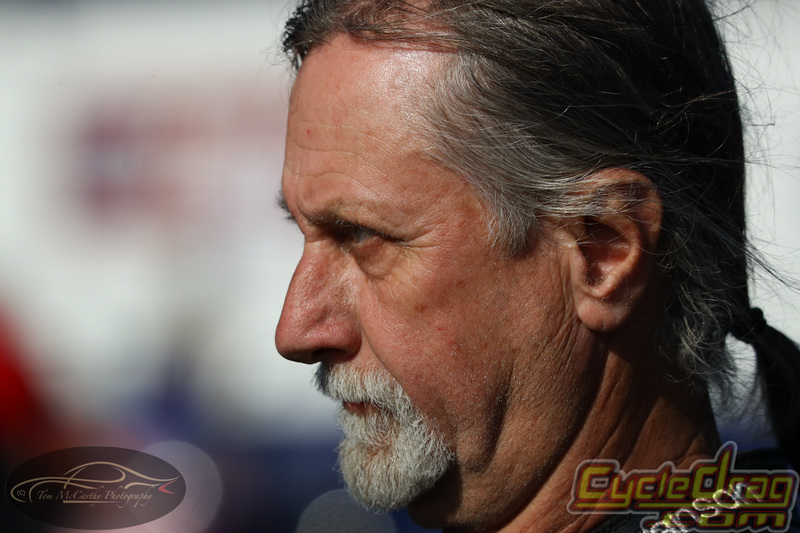 CatSpot Organic Cat Litter Top Fuel Harley racer Rickey House raced to the semifinals of his sponsor’s race, the 31st annual CatSpot Organic Cat Litter NHRA Northwest Nationals on Sunday at Pacific Raceways. 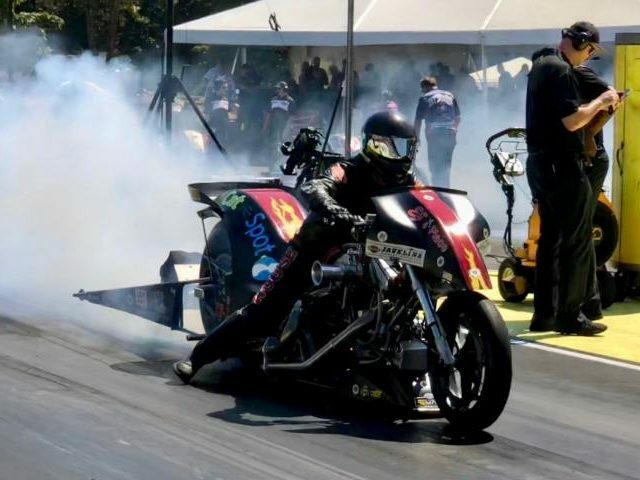 House’s CatSpot teammate, Top Fuel dragster driver Scott Palmer, was bounced in the first round by a surprising Mike Salinas, yet still held his spot in the top 10 of the Top Fuel points standings. House secured a first-round victory in thrilling circumstance, beating Randal Andras on a holeshot. House left .168 seconds sooner than Andras, and his 6.137-second pass at 218.82 mph was enough to hold off Andras’ better run of 6.282 seconds at 224.02 mph. House left first on his semifinal opponent, Tii Tharpe, with a .033 reaction time. But though Tharpe slowed to a pass of 6.859 seconds at 218.55 mph, House had issues of his own in a run of 12.292 seconds at 77.48 mph. “First round was great,” House said. “Got lucky and won on a holeshot, but I’m happy the bike ran consistently all through qualifying and first round. Then second round, I made a small change to it. I kept track of the track temperature and it did get two degrees warmer than it did yesterday, and I didn’t think two degrees was that much – but apparently it was. Still, House was pleased with the performance of his CatSpot bike in his sponsor’s race.